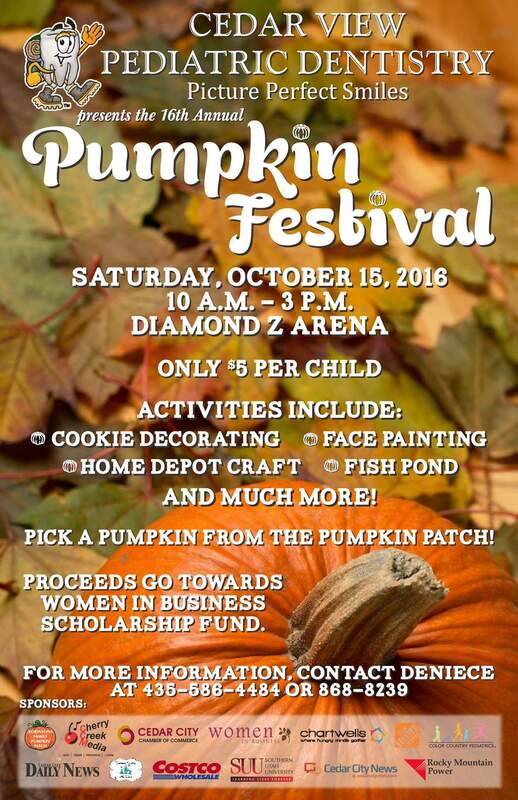 The Pumpkin Festival will be Saturday, October 15, 2016 at the Diamond Z Arena from 10:00 am to 3:00 pm. $5 per child. Activities include cookie decorating, face painting, Home Depot craft, fish pond and much more! Pick a pumpkin from the pumpkin patch! It is sponsored by Cedar View Pediatric Dentistry and the proceeds will go towards the Women in Business scholarship fund.